Under UK legislation, organisations have a legal obligation to ensure the health, safety, security and wellbeing of the individuals on their premises. 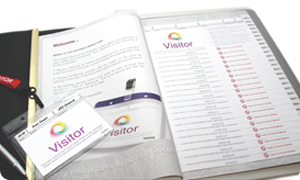 An effective visitor management solution can not only help you to fulfil your Duty of Care, but also provide benefits such as: increased site security, reduced visitor waiting time, and reduced risk of corporate theft and other criminal activity. Effective control and monitoring of visitors allows you to ensure the safety and security of your people, property and premises by identifying all authorised visitors and contractors on your premises. It also helps to enhance your organisation’s professional image and create a positive first impression. Our solutions produce instant, accurate and up-to-date fire registers, whilst ensuring the efficient handling of visitors to reduce administration time and free up your front of house resources to concentrate on greeting and attending to visitors. 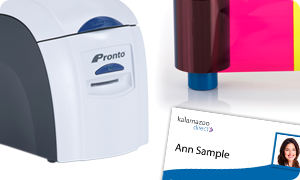 Kalamazoo Direct is a visitor management specialist with over 35 years’ experience providing both handwritten visitor pass systems and software to a wide range of organisations across the public and private sectors. 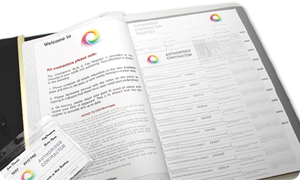 We also provide a range of identification solutions ideal for helping to identify employees, temporary staff and long-term or recurring contractors and visitors. ID cards and accessories can be used in conjunction with visitor systems to create a robust, professional looking identification system that increases the level of security in your organisation. Personalised systems to help you efficiently manage your visitors. 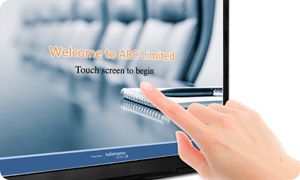 Specially designed software for effective visitor management. Everything your organisation needs to print your own ID cards. 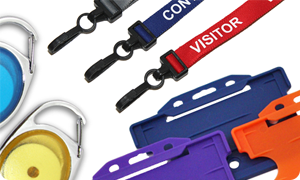 Quality accessories to accompany your ID visitor management solutions.